One of the most important beginning steps in a criminal appeal, where the client has been given a jail sentence, is to seek bail pending appeal. This article seeks to proivide information about the bail process for criminal appeals in Toronto, Ontario. Please follow the links for further information about the criminal appeal process or appeals initiated by the crown attorney. Those requiring assistance with an appeal related issue should immedialty consult with a criminal appeal lawyer for advice. What is bail pending appeal? What must be done before an appeal bail is sought? How quickly can an appeal bail be heard by the judge? What is the difference between an appeal bail hearing and a bail hearing before trial? Who decides whether to release a person on bail pending appeal? What factors will a judge consider at an appeal bail hearing? 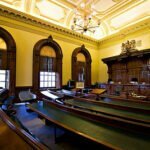 Should my trial lawyer conduct the bail pending appeal hearing? Obtaining bail pending appeal secures the client’s release from custody while his or her appeal is litigated before the Appeal Court. The appeal process is lengthy, so failure to obtain bail pending appeal can mean waiting months or even years in jail prior to the appeal being heard. Before an appeal bail can be sought, a notice of appeal must be filed with the court. The notice of appeal sets out the basic reasons for appeal and is required to commence the appeal process. Once the notice of appeal is filed, a bail application can be brought before the appeal court on providing three days notice to the Crown Attorney. That said, it often takes a couple of weeks on average, sometimes longer, to prepare proper materials to maximize the chances of obtaining bail. Given the time required to properly assemble appeal bail materials, it is often suggested to retain an appeal lawyer in advance of the sentencing hearing to commence work on the bail application where the imposition of a jail sentence is likely. In this case, a bail pending appeal application can often be filed with the Court in advance of the sentencing hearing so that the bail hearing can be argued the day following sentencing. Done properly, it is not uncommon to spend less than a single day in jail before being released on bail pending appeal. What is the difference between an appeal bail hearing and a bail hearing at trial? Unlike bail at trial, the sureties on bail pending appeal rarely testify in court. The surety information, including the plan of release and purposed bond, is set out in a sworn affidavit. It is very important that the surety affidavits are well prepared and set out both the plan of release and the client’s track record on pervious release orders, including bail while at trial. A good surety plan can make the difference between being released and being detained. The decision to release a person on an appeal bail is made by a single judge from the Appeal Court. This judge may or may not continue as the judge on the actual appeal hearing after the bail hearing stage is completed. The key to obtaining bail on appeal is well prepared bail application materials. The burden is entirely on the applicant seeking bail. He or she no longer benefits from the presumption of innocence. The applicant must meet a three-part test: (a) the appeal is not frivolous; (b) he will surrender himself into custody in accordance with the terms of the release order; and, (c) his detention is not necessary in the public interest. The Court places significant emphasis on being able to establish that there is an arguable ground of appeal; i.e. that there is some chance that the appeal will be successful. It is very important that any bail application fully set out the proposed grounds of appeal. Every bail pending appeal has a term that the client must surrender to the jail from where he or she was released on the day before the appeal hearing. The Court must be satisfied that the accused will surrender as required. The Court will generally consider any prior charges of failure to appear for court or whether the person is generally a flight risk. Finally, the Court will consider the public interest. This factor considers such issues as the seriousness of the offence and the person’s level of risk to commit further offences. Also relevant to this factor is the issue of enforceability of court orders versus the right of the accused to review the correctness of the decision at trial. If a long sentence is imposed, the Court may consider it not to be in the public interest to grant bail. A good surety plan can offset public interest concerns. It is very important to properly articulate the merits of the appeal at the bail hearing stage. An experienced appeal lawyer is often in the best position to assist the Court in understanding the arguments that may lead to a conviction being overturned. Failure to convince the Court of the merits of the appeal will result in the bail being denied. It also helps to have a lawyer familiar with the procedures and judges at the appeal court to best present the client’s case for bail pending appeal. Therefore, retaining a trial lawyer to address an appeal bail may negatively impact the client’s chances of success on that hearing. A client who is granted bail pending appeal is in a much better position to assist his or her lawyer in presenting the case to the court. Hiring an experienced appeal lawyer is essential to ensure the best outcome at this critical stage of the appeal proceeding. To discuss a criminal appeal issue contact Daniel Brown at 416-297-7200 for a consultation.